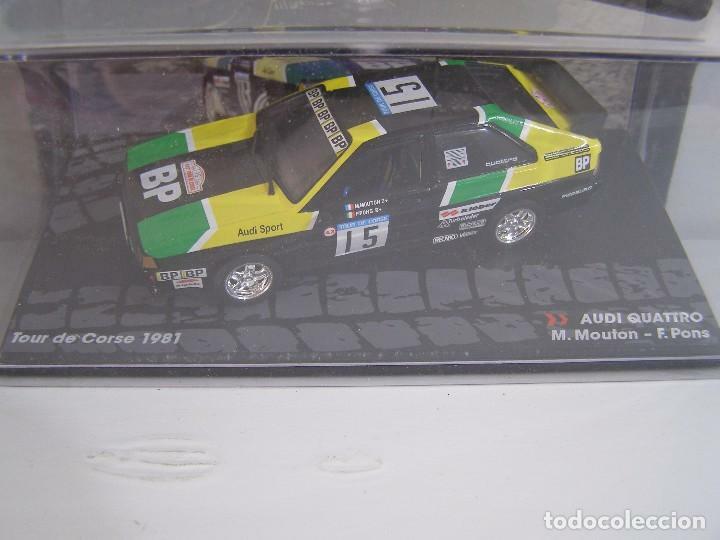 COCHE A ESCALA 1/43, DE LA COLECCION RALLY DE ITALIA EAGLE MOSS ALTAYA, MODELO AUDI QUATTRO DEL TOUR DE CORSE DE 1981. AUDI QUATTRO A2 DE 1983, COLECCION CHAMPION RALLY CARS , EAGLE MOSS ALTAYA 1/43. FORD SIERRA RS COSWORTH, TOUR DE CORSE 89, COLECCION RALLY DE ITALIA, EAGLE MOSS ALTAYA 1/43. Hora oficial TC: 18:27:52 TR: 115 ms.